When it comes to choosing a driveway that fits your needs and budget; whether it’s for your new home or re-doing your existing driveway, you will have to decide which material is best for you. Concrete and asphalt are the most common materials selected by homeowners; however, there are other options available from gravel at the low end all the way up to pavers on the high end. Here are a few advantages and disadvantages of each product type. Depending on which direction your home faces, the sun may help heat your asphalt driveway to assist in melting ice and snow in our long Minnesota winters! Both of these materials are great options for new homeowners, just make sure they are installed at the proper time and conditions to avoid problems early on. It is ultimately up to each individual owner on which product will work best for them and fit their budget. 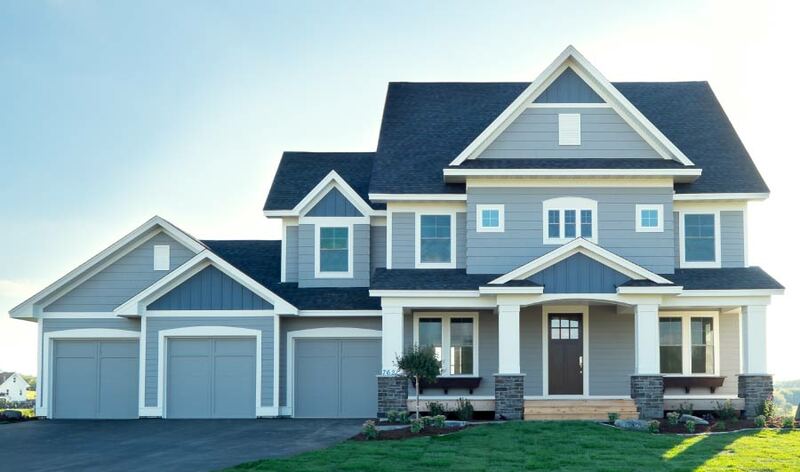 Do you have a preference in the color tone of your driveway against your exterior colors? Are you trying to save money now or in the long run? Are you okay with some maintenance or would you rather pay more for less maintenance? If you have a new driveway, let us know what material you chose and why! For any other questions regarding new home construction or building your new home with Homes by Tradition, email info@homesbytradition.com or call 952-322-8700.